Oooooo Greece!! This country really is as amazing as you’ve ever dreamt of, and we barely scratched the surface! Food and wine are the keys to my soul. Greek food is truly some of the BEST food I’ve ever eaten in my life. I’m not just talking about Greek salads, Gyros and Feta Cheese (well I’m talking about that as well, of course). 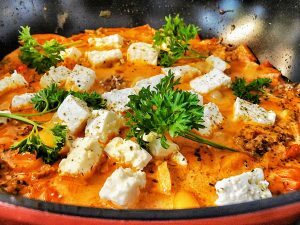 There is SO much more to Greek gastronomy than I ever could have imagined and the BEST way to discover it, is with a food tour. Honestly, Josh and I were never really big into food tours until we moved to Asia (Singapore) and a friend suggested we do one on our trip to Tokyo. After that, we were totally hooked. Not just because we LOVE food, but because we love CULTURE, and isn’t that why we all travel in the first place?! Learning about and consuming local foods is the BEST way to get to truly know a culture and its customs. 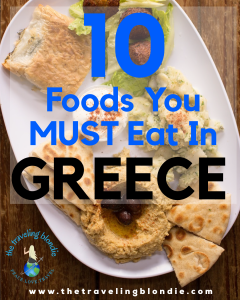 So, without further ado, here are the Top 10 Foods You MUST try when visiting Greece! 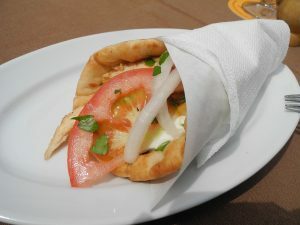 Be sure to eat each and every one, many many times and take the food tour with Greeking.me! Kourlouri is a GREAT breakfast food on the go! What better way to start your Greek food adventure in the morning than with it’s typical breakfast food, called Koulouri. It doesn’t look any more exciting than a pretzel, until you bite into it! Koulouri has a hint of sweetness and is super light on the stomach. 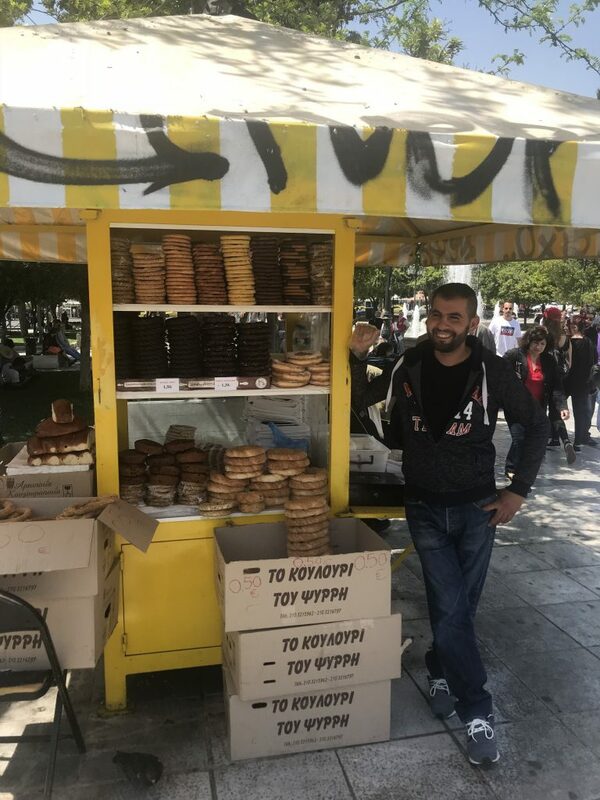 Greeks typically grab one on the go for breakfast at any of the countless number of stands all over Athens (kind of like Americans grabbing Dunkin’ Donuts on their way to work, but much healthier and lighter). Souvlaki is like a shish kabob. Literally the first food many tourists think of when the word Greece pops into their head is Gyros! Totally unbeknownst to me, gyros are cooked slowly on a vertical rotisserie and are made of strips/slices of meat. Gyro literally means ‘going around.’ Souvlaki, a word I had never heard before entering the country but realized I’d been eating for years, is like a shish kabob. Souvlaki consists of chunks of meat and veggies cooked on a skewer. 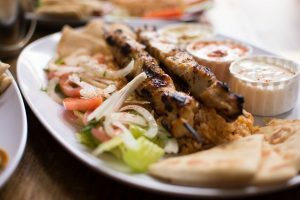 Souvlaki literally translates to ‘small skewer.’ Both are served in a pita and are totally delicious! The BEST Souvlaki & Gyros in Athens can be found at Kosta’s Souvlaki. It’s been family run for 65 years. Do note that they close early, so you’ll have to go for lunch or an early dinner! Josh loved all the different varieties with various types of meats. I LOVED all the different veggie options, because each can be made with sauces like tzatziki and an abundance of vegetables! YUM! Greek meatballs are sooooo yummy! If you’re a vegetarian like me, you’ll have to skip this one. 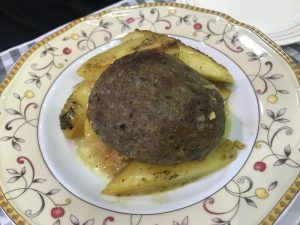 Josh said this soutzoukakia was the BEST meatball he’d ever had in his life and the potatoes were seasoned oh so perfectly. They literally melt in your mouth. We loved Epirus Tavern because it’s a family run business and everyone was so kind, we felt like we were eating at our grandma’s house for Thanksgiving. 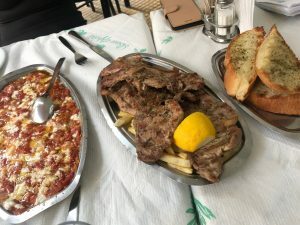 We also indulged on several other delicious, indescribable, dishes at Epirus during our food tour with Greeking.me, which you’ll have to try for yourself on the tour. Epirus Tavern is located in the heart of the Varvakeios Meat Market in Athens. 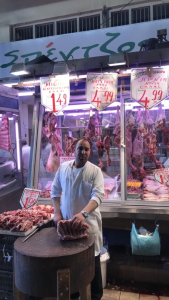 This Meat Market is an experience all in itself and cannot be missed when visiting the city, but it can be a bit disturbing for vegetarians/vegans, so please take note. If you’re staying in Athens for a while, it’s a also great place to pick up some lunch/dinner, as the prices of meat are really affordable. Cheese Pie? I’ll take 20! Look at all that flaky, cheesy, goodness! 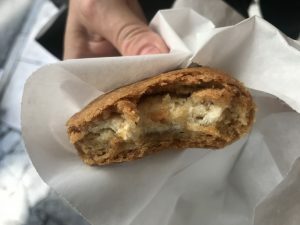 I’m totally OBSESSED with cheese, which is why Kuru, a type of Tiropita, was one of my favorite Greek foods that we tried. Picture a warm, thick, fluffy, flaky dough (similar to an empanada), stuffed with rich feta cheese, yogurt and butter. No further description needed. 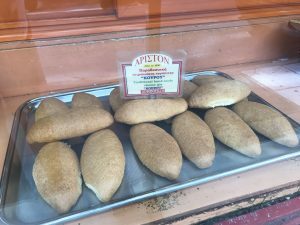 I loved the owners of Ariston Pastry Shop, as it’s a family run business since 1910. You can just feel the love they put into their pastries. After selecting your pastry, they heat it up ever-so-perfectly in their oven. The end result is a melt-in-your-mouth experience that you’ll be dreaming about for years to come! I wanted to eat everything as soon as I walked in! 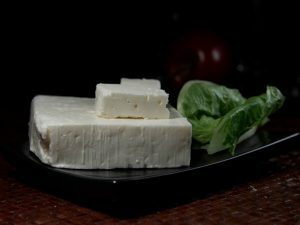 Greek Cheese: Feta, Ladotiri, and soooo many more! This feta is heaven on Earth! The cheese in Greece is the BEST I’ve ever had, hands down. The country is home to nearly 100 different, unique cheeses, so you’ll have a lot to choose from. Interestingly, feta cheese tasted COMPLETELY DIFFERENT in Greece. By different I mean 1,000 times better than what I’m used to eating. Why? Because, “only those cheeses produced in a traditional way in particular areas of Greece, which are made from sheep’s milk, or from a mixture of sheep’s and up to 30% of goat’s milk from the same area, can be called feta.” This is why when I took my first bite of feta cheese in Greece, it literally felt like heaven in my mouth. Olive oil cheese Ladotyri is divine! 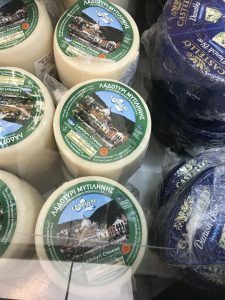 Additionally, you must try Ladotyri, which is olive oil cheese from the region of Mitilini, which was my other personal favorite. Elena, our tour guide with Greeking.me, did an excellent job of selecting all the other best types of cheese for us to try at Strouga Tou Moria Cheese Shop. It’s located near the Varvakeios Meat Market in Athens. Kafteri is one of my personal faves. 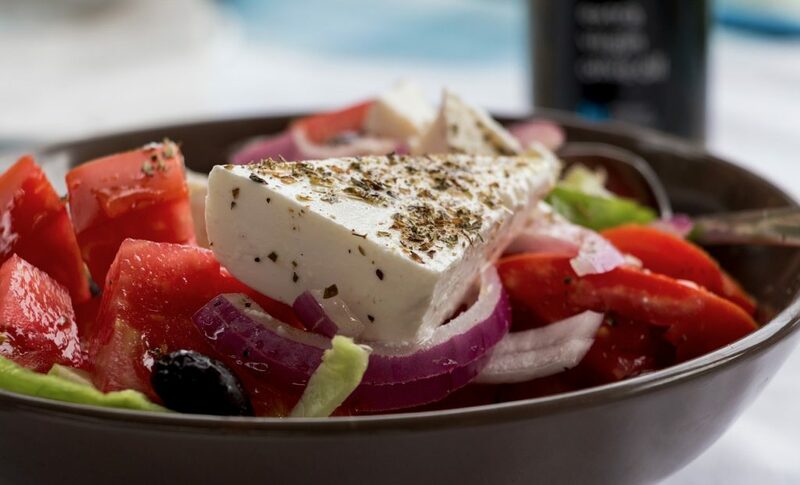 Obviously feta cheese is absolutely delicious in Greece, so imagine it mixed with fresh tomatoes, extra virigin olive oil, and chili peppers, all grilled together into a melted spread. It goes perfect with bread. YUM! Plus, it’s super easy to make at home by yourself. I totally fell in love with Minotavros, a family-owned and operated restaurant that only has one dinner option daily: Kafteri with grilled pork chops and seasoned bread. The service here is exceptional and so are the people! 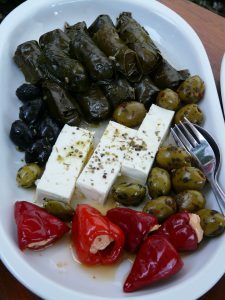 You cannot go to Greece without trying dolmades. They have a softer, mushier texture, so aren’t a favorite for everyone. 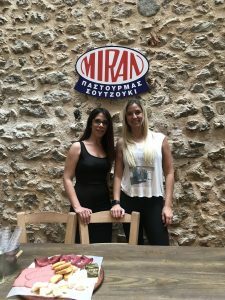 If you’re looking for a totally unique meat and cheese shop in the heart of Athens, where you can sit down and devour all these tasty treats, check out Miran. 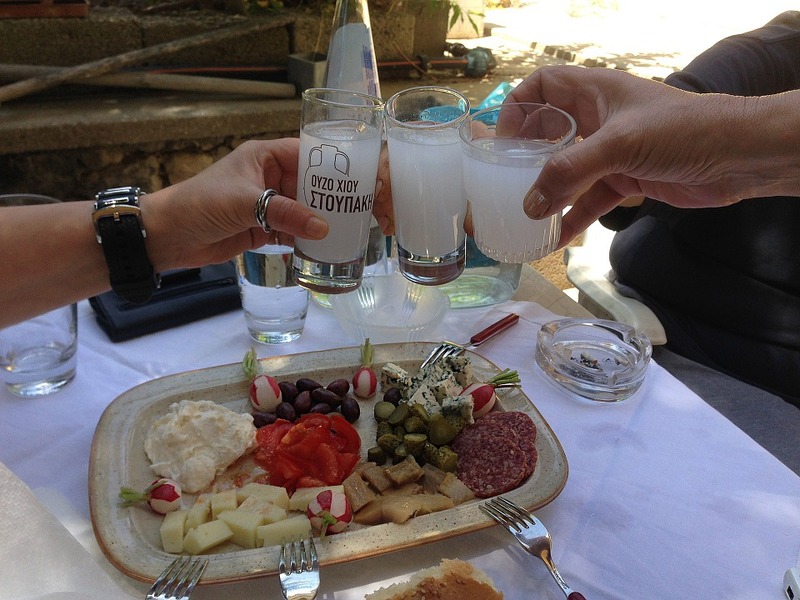 Order a plate of dolmades, meats, cheeses, crackers and the local liquor called ‘Raki.’ Raki comes from the byproducts created from the wine making process, which is then mixed with ethyl alcohol. Elena is such an AMAZING guide! Be sure to say Ya Mas (Cheers) when drinking! Elena, our Greeking.me tour guide, made our experience at Miran unforgettable by choosing exactly which meats and cheeses fit best together with the dolmades and Raki. Kalamata olives are a must try! I never was a fan of olives until we came to Europe for a year, and after staying in Italy for a few months I totally fell in LOVE! 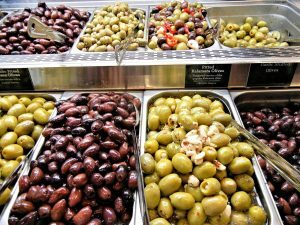 There are SO many different types of olives in Greece, from various regions all over the country, making it a bit overwhelming to choose. I really liked Kalamata red olives and Creten green olives. If you want to read up on all the different types of olives check out The Spruce Eats’ blog post, which explain them perfectly. The BEST rice pudding on the planet! Moving on from meats and cheeses, let’s get into the sweet stuff! I love how many countries have their own version of rice pudding, but I definitely think the Greeks do it best. Rizogalo is totally different than the standard, chunky, rice pudding you’re used to. Why? Because it’s SUPER smooth, almost like custard! We especially loved the Rizogalo at Xatzis Pastry Shop in Athens because it’s made with buffalo milk! The Hatzis family still maintains one of the last remaining buffalo herds in northern Greece, producing all of their sweets from buffalo milk. They even sell the buffalo milk, cream and butter in their shop along with their goodies. Donuts are a girls best friend, especially these ones! I totally thought these would be super heavy, because I’m used to eating donuts back in the States that make me feel like I’ve just eaten the farm, but these are super, duper light. And they’re drizzled with honey and cinnamon. Soooooo yummy! 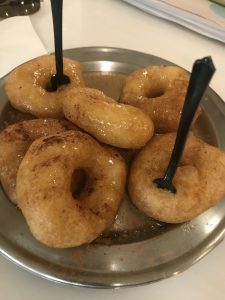 They come in other various forms, almost like donut holes, but the traditional ones can be found at Krinos Pastry Shop and are totally perfect. Bonus section! 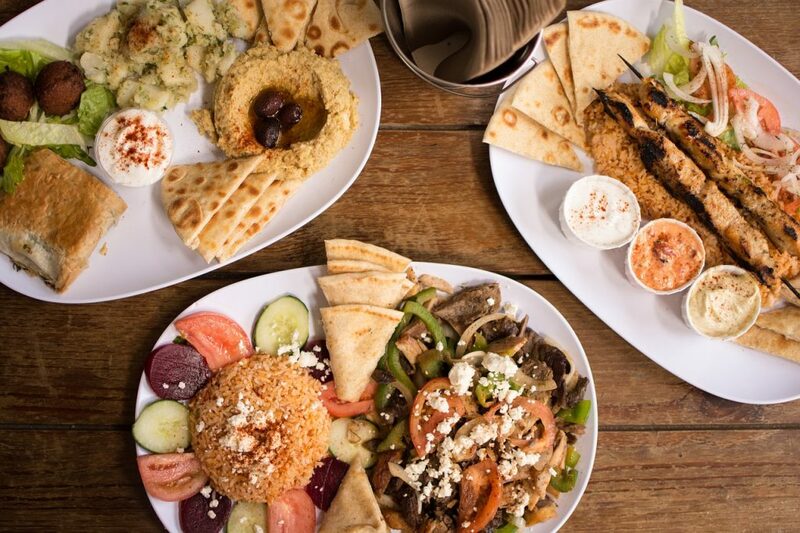 What better way to savor in all this delicious Greek food than with local beverages?! Be sure to try them all! Greek coffee is quite similar to Turkish coffee, in that they both use fine ground coffee, which is boiled in a tall, narrow pot. Coffee in Greece, much like many other countries in Europe, is used as a means of social gathering. Strolling through the streets, you’ll see countless people slowly sipping coffee and having a meaningful conversation. There’s a delectable, local coffee shop that has an old fashioned, still operating machine (dating back to 1939). Here, you’ll experience one of the best cups of coffee you’ve ever had. I’ll leave it up to my friends at Greeking.me to guide you to this hidden gem. 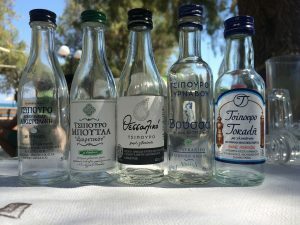 If you drink alcohol, you cannot come to Greece without trying Ouzo!! Ouzo is a dry, anise (similar to black liquorice) flavored liquor. I actually loved it much more than I thought I would! Grab a small bottle and give it a go! Be sure to say ‘Ya Mas,’ which means ‘cheers’ in Greek! 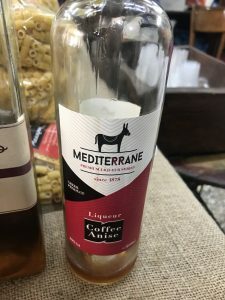 This coffee digestive liqueur was my favorite! The wine in Greece and local liquors do not disappoint. There are sooo many different types of wine and spirits from different regions all over the country. If you’re a wine-O like me, I totally advise really getting familiar with the local wine by taking a Wine Tour. Greeking.me offers an Athens by Night & Wine Tour, which is definitely on our agenda next time we’re in the city. Aside from wine, there’s also a lot of delicious local spirits to try. Head over to Oikonomidis Wines and Spirits to have a taste of them all. The coffee Anise Liqueur is my FAVE and a great digestive drink after eating. Is your mouth watering yet? Mine is!!! 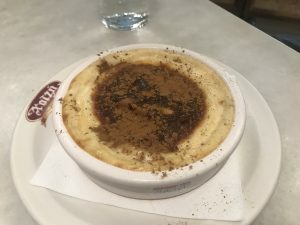 Seriously, don’t miss all these amazing foods, beverages and restaurants while your visiting Athens and Greece and BE SURE to fit in time for a food tour with Greeking.me. 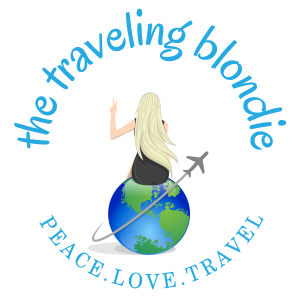 Enter my discount code BLONDIE for a 10% discount on both small tours and private tours! I promise, you’ll be thanking me later! They also offer many other types of tours in many other cities and islands all over this great country! Athens is an AWESOME city! We are such city people and totally fell in love even after hearing mixed reviews. Don’t believe those negative reviews, it’s totally awesome, just be sure to book your hotel/Airbnb in the right neighborhood. 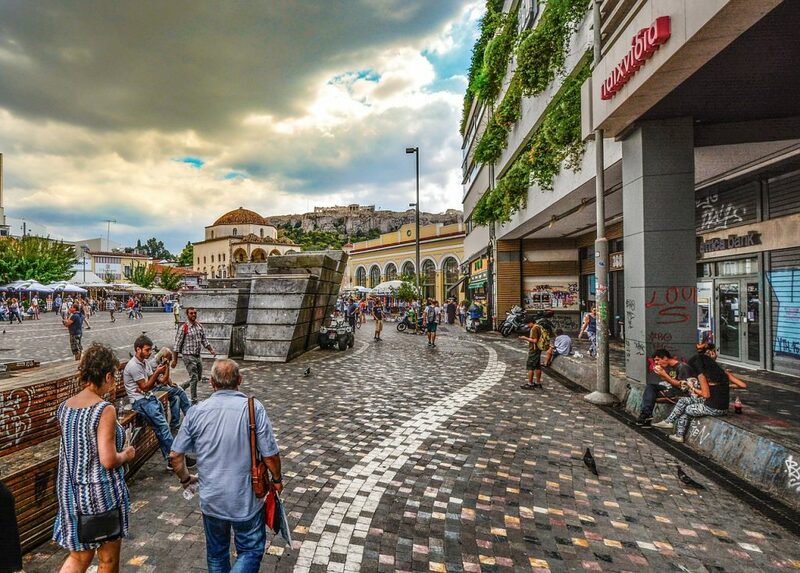 You MUST stay in Plaka when visiting, because it’s the neighborhood of all things FUN! Our AIRBNB was located in the HEART of Plaka, just steps away from all the shops and restaurants, but still quiet! 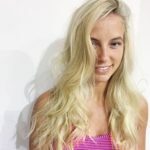 For $55 off your first Airbnb booking, check out my discount code! Of course, while your’e in town, you must see the Acropolis and Parthenon. Entry is 20 Euros per person. 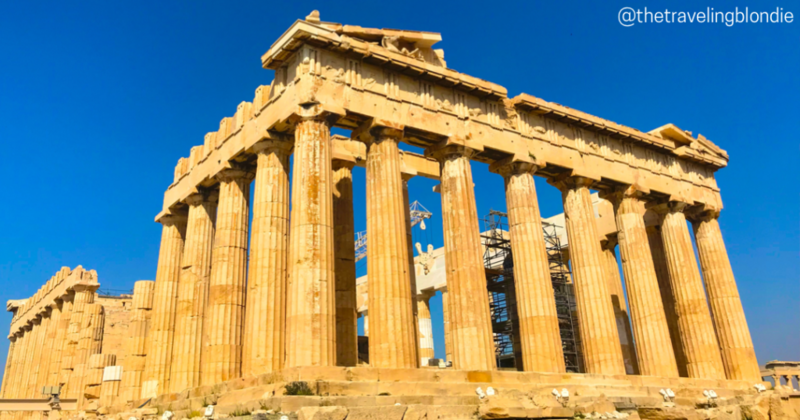 If you’re planning to visit more sights and museums in Athens, I suggest purchasing the Athens City Pass, which will save you time and money. Be sure to take a stroll and shop through Monastiraki Market and purchase handmade Greek leather sandals at Melissinos, the Poet Sandal Maker. Grab a drink at sunset at 360-Cocktail Bar, to see the Acropolis by day and night, even though the drinks are overpriced (which is expected). Order the ‘Med Fresh’, you’ll thank me later. And, of course, save time for a food tour with Greeking.me!